“Guo Nian Hao” (that’s Happy Lunar New Year for those not fluent in Chinese)! Also known as the Spring Festival and observed not only in China, but also in other countries such as: Hong Kong, Korea, Australia, the Philippines, and Vietnam. 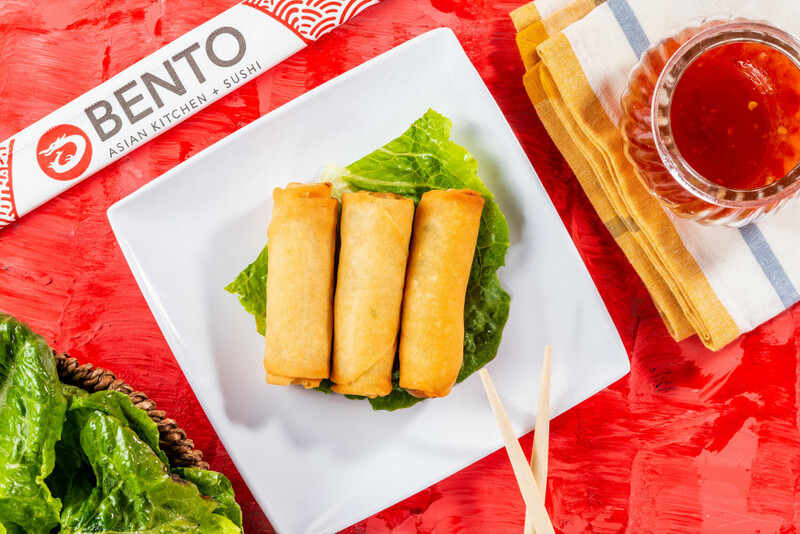 Whether or not you and your family make up part of the 1.25 billion people that recognize this holiday every year, we at Bento Cafe welcome you to ring in the Year of the Pig the only way we know how – by pigging out 😋 Any occasion to gather with your favorite people and feast is always a good idea to us. Food is the center of this holiday, like most, and the Chinese traditionally eat certain dishes to bring even more fortune in the New Year. Eating to increase your luck? Now you’re talking our love language 😍Not sure which foods ensure you’ll have the most luck this Lunar New Year? Don’t worry we’ve brushed up on the history and symbolism of the food here so you can get back to finding the perfect stretchy pants to wear this Lunar New Year. When spoken in Chinese, “fish” (鱼 Yú /yoo/) sounds like ‘surplus‘. You will typically find whole fish in Lunar New Year festivities as the Chinese like to have a surplus at the end of each year. They traditionally believe that if they’ve managed to save something at the closing of a year, then they can accumulate even more in the next year. If you can’t get your hands on a whole fish, don’t worry. 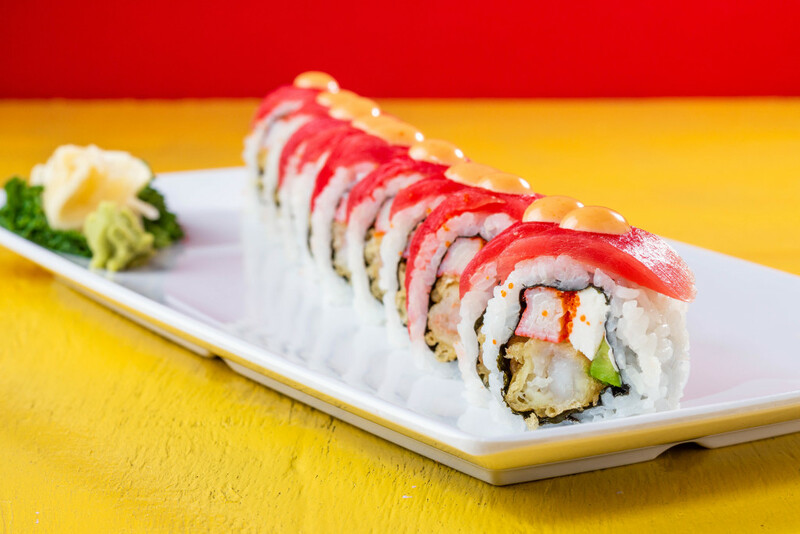 We’ve got plenty of fish on the Bento menu. We recommend one of our custom build-a-poke bowls to jumpstart your Lunar New Year on a fresh and lucky note! That is part because the shape of the dumpling resembles ancient Chinese gold ingot. 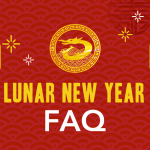 Also some families who celebrate will hide lucky coins in the dumplings and whoever stumbles upon those select few will receive the most luck and wealth in the New Year (eat at your own risk). If you’re looking to get full on dumplings and wealth, the Bento menu can help. The history behind these Bento menu favorites are very simple. They got their name because they are historically eaten during the Spring Festival and its Chinese name translates to “spring roll”. 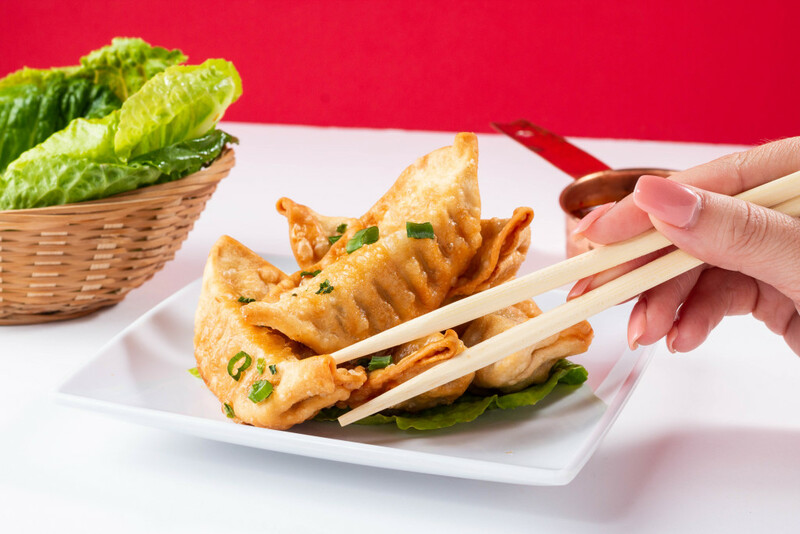 Fresh vegetables and other seasonal ingredients were typically rolled in dough wrappers and then fried until crispy. The golden color achieved from delicately frying the spring rolls and its gold bar-like shape represent treasure in the Chinese culture. These sweet rice balls are actually the main food for China’s Lantern Festival (typically observed at the end of the Chinese New Year and marking the first full moon of the new lunar year), however there are many who eat them throughout the Spring Festival as well. The pronunciation of these sweet rice balls and its round shape represent the union of being together with family, and why they’re heavily favored by the Chinese during a very special occasion that is the Lunar New Year. The dough of this delicacy is made of glutinous rice powder and its stuffing includes bean paste, brown sugar and/or fresh fruits and nuts. The noodles length symbolize longevity and are usually eaten not only on Lunar New Year but on birthdays especially for the elderly. 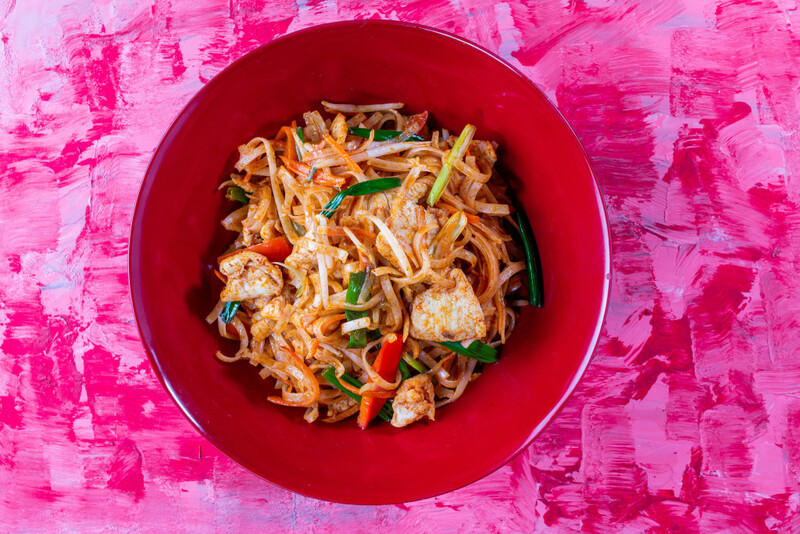 It is believed that eating longevity noodles will help bring long life and ensure that everything goes smoothly in the upcoming New Year. In Chinese culture, the dragon symbolizes great power, dignity, fertility, and wisdom as its appearance is both fearsome and bold while representing imperial authority. You can almost always find a dragon dance performed during Chinese New Year as they are associated with power, strength, and good luck. The longer the dragon in the dance, the more luck it will bring to its community. While these are only a few suggestions on how you can eat your way through the Year of the Pig, we at Bento hope this one is the best one yet and hope to see you in the New Year! 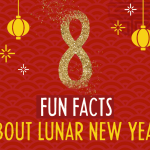 If you’d like to learn more about the holiday like the significance of the ever-present red in New Year festivities, or the number 8, check out our 8 Fun Facts About Lunar New Year Blog. Let us know in the comments how you’ll be celebrating with your family this year!